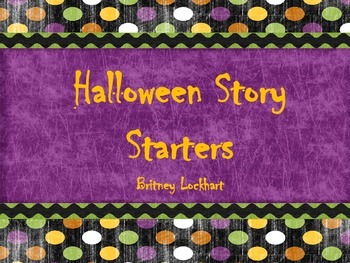 This is a PDF file that includes story starters and writing prompts. 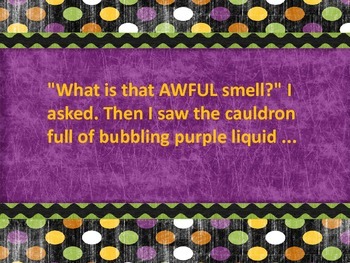 You can use them as a Halloween writing or just have students write using details. They are good hooks for beginning a piece of writing. 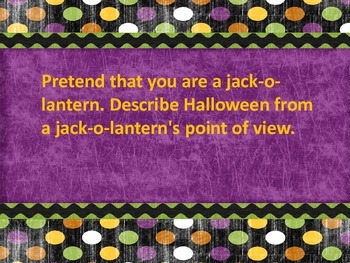 I am using these with my students as Halloween writing. We just finished personal narratives and have a few days before beginning a new type of writing. Most of these prompts/ story starters are for personal narratives.